Kick off your visit on the 5th (Thu): take in nature's colorful creations at Roma Street Parkland and then explore the activities along The Brisbane River. 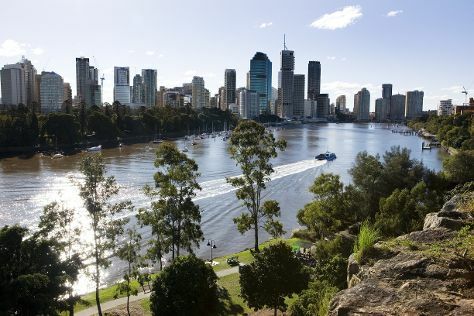 To see more things to do, photos, and other tourist information, refer to the Brisbane trip itinerary maker . Kuala Lumpur, Malaysia to Brisbane is an approximately 12.5-hour flight. You can also do a combination of flight and bus. The time zone difference when traveling from Kuala Lumpur to Brisbane is 2 hours. Prepare for much colder weather when traveling from Kuala Lumpur in July: high temperatures in Brisbane hover around 24°C and lows are around 11°C. Wrap up your sightseeing by early afternoon on the 6th (Fri) to allow time for travel to Sydney. 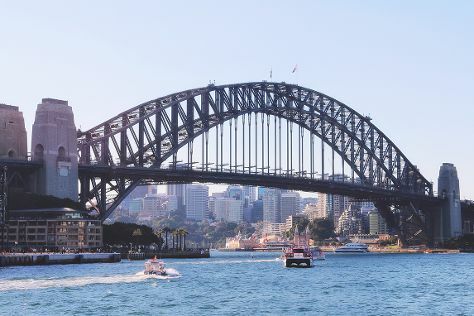 Kick off your visit on the 6th (Fri): meet the residents at Sea Life Sydney Aquarium, then snap pictures at Sydney Harbour Bridge, and then get to know the fascinating history of The Rocks. Get ready for a full day of sightseeing on the 7th (Sat): kick back and relax at Bondi Beach, then hike along Bondi to Coogee Beach Coastal Walk, then catch a live performance at Sydney Opera House, and finally wander the streets of Darling Harbour. To find other places to visit, ratings, and other tourist information, use the Sydney journey builder . Fly from Brisbane to Sydney in 3.5 hours. Alternatively, you can do a combination of bus and flight; or drive. In July, daily temperatures in Sydney can reach 21°C, while at night they dip to 9°C. You'll have a few hours on the 8th (Sun) to wrap things up before traveling home.